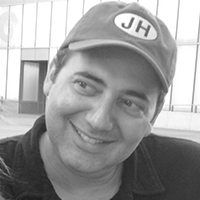 Andrew Balis is a senior colorist and online editor at Neon Diesel Finishing specializing in creative and unique look development for independent feature films and TV programs. Originally from the east coast, Andrew graduated from New York University’s Tisch School of the Arts and has since worked in the film industry in the Los Angeles area for almost 30 years. Staying involved in education, Andrew lectures, writes and teaches classes including a current position as adjunct professor at USC’s School of Cinematic Arts.